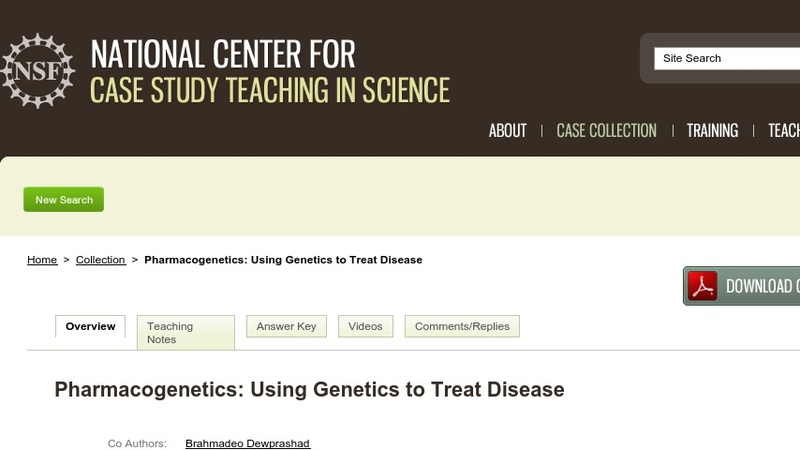 This case study investigates the applications of genetics to medicine by exploring one of the first examples of a pharmacogenetic test to enter mainstream clinical practice. Pharmacogenetics examines how genetic variations in an individual correlate with responses to a specific medication in order to develop tailored medical treatments. Through a scenario based on clinical observations, students learn about acute lymphocytic leukemia as well as the wide range of individual responses to the drug used to treat it. Then, students interpret data similar to those initially published in scientific journals in order to construct an understanding of how genetic variation can be used to “tailor” medical care. Lastly, students are asked to apply their understanding of what they have learned in the case by making the appropriate medical recommendation based on a particular individual’s genotype.